About the Space Coast Association of REALTORS® - Space Coast Association of REALTORS®. The Space Coast Association of REALTORS® is a professional trade association providing services to the local REALTOR® community since 1959. We have a membership base more than 4,500 REALTORS® and Business Partner Members servicing Brevard County. The REALTORS® comprising our membership adhere to a strict Code of Ethics in working with one another and the general public. The term REALTOR® and the distinctive block "R" are registered trademarks of the National Association of REALTORS® and can only be used by members of the association. The Space Coast Association of REALTORS® takes an active part in community programs and pursues those projects that are supported by members to further real estate interests. The protection of private property rights is always a top priority. Our members can easily be identified by the stylized "R" predominantly displayed on signage, advertising and business cards. When you work with a REALTOR® this will mean that you have selected a professional that has pledged to uphold a commitment to the highest standards of ethics and practice. Selecting a REALTOR® member of the Space Coast Association of REALTORS® is peace of mind for one of the most important transactions of your life. The Association offers periodic Ethics and Professional Standards instruction to members in order to maintain the exceptionally high standards of excellence in business required by the membership. Space Coast Association of REALTORS® members stay current on new laws as they affect your real estate transaction as well as maintaining a higher level of expertise in their profession through the many educational courses offered by our Association. As REALTORS®, we individually as well as in a group, are proud to take an active role in our community. Our members work and play in Brevard County. We love it here and we're sure you will too! The Space Coast Association of REALTORS® serves REALTORS® and community members from a new location in the Town of Palm Shores. The Association's 15,266-square-foot building is a centralized facility that provides REALTORS® across Brevard County with a range of professional services, including professional development, the Space Coast Multiple Listing Service (Space Coast MLS) and meeting space for town halls and events the Association holds throughout the year. Whether you are buying or selling real estate use a professional, use a REALTOR®. 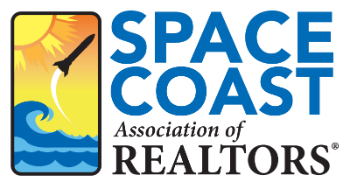 The Space Coast Association of REALTORS® has a history that stretches back to 1959, during the early years of the Space Race. The first Association president, Al Trafford, paved the way for later generations of leadership that have cultivated an enduring legacy of professionalism in the field. The Association is growing every day to meet the needs of Brevard County residents, and in the last four decades alone has grown from 130 REALTOR® members to more than 3,600. Over time, the three Real Estate Associations that aided Brevard County REALTORS® in growing their careers went through a series of mergers. The final one occurred in December of 2013, when the Melbourne Area Association of REALTORS and Space Coast Realtors merged and became the Space Coast Association of REALTORS®. Today, the Space Coast Association of REALTORS® serves all of Brevard's REALTORS® and community members and is one of the largest professional organizations in the county. View our Past Presidents Library. To be the trusted and best source for Real Estate information in the Brevard Market. Interested in becoming a member of the Space Coast Association of REALTORS®? Visit our Become a REALTOR® page to learn more about joining our organization as a REALTOR®. Visit our Become a Business Partner page to discover the benefits of Business Partner membership with the Space Coast Association of REALTORS®.